Linkedin career groups, such as the ones listed below, are a useful way of expanding your network. 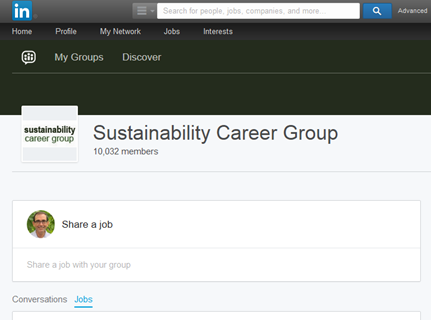 To find or post jobs on a group you are a member of, go to the group and near the top of the page and click on the “jobs” tab. There you will be able to either share a job with the group, or view jobs that have been posted by other members. Note that jobs listed are automatically removed after a couple of weeks. View this infograph on using Linkedin to boost your career.